What is in a service? Are you happy with the quality of your previous service? Did you receive a complete explanation of what was done to your equipment last time? Did you receive your replaced parts back after a service? If the answer to any of these questions is “NO”, we invite you to read on and compare our system of servicing. After many years of servicing scuba diving equipment, we have found a large variation of repair and service quality throughout Australia. We have compiled this information page, so you are aware of what you, the customer should be receiving. Many frequently asked questions about servicing are answered below. 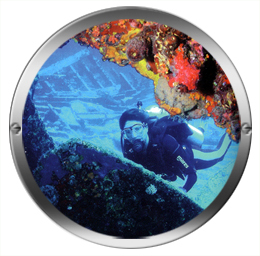 All service repairs are carried out by Qualified Factory trained Scuba and Breathing Apparatus Technicians. If you have any questions before or after a service please feel free to speak with Andrew. Our policy is to complete the service or repair on your equipment within 7 working days of receiving it. Exceptions will be the age of your equipment and the availability of parts. We will then advise you of your options. Emergency and urgent repairs may attract a surcharge. Prompt service is always our aim, although we will not compromise quality for speed. Work performed in a standard service. Low pressure seats “bed in” may change slightly after a few dives. This may cause the second stage to “run on” or “free flow”. Return the regulator for a free check and we will readjust the line pressure, plus readjust the second stages. This is a routine adjustment. Which Brands Of Equipment Can We Service? Please call us with any queries you may have about your equipment. Scuba Culture uses a service report file system for Scuba equipment. It works similar to the service book for your car. Every year when you bring your equipment back for a service we will produce a new worksheet as proof of service attach it to previous service records and keep it on file. This can be very useful as an accurate record of your Scuba equipment’s service history especially when it comes time to upgrade or sell your equipment. The resale value of your equipment will be higher than those with no history. Different manufacturers have different policies on parts that are covered. We suggest you read the small print before purchasing your equipment. Most manufacturers using this system limit the warranty to the original owner and stipulate that it is serviced every year by an authorised service centre. Keeping your warranty papers/cards, original purchase docket and all paperwork of service work completed is a good idea. “Labour is not covered under warranty” and there is a small postal charge to cover sending the parts to and from the manufacturers. If you feel your equipment is covered under warranty, please return all relevant paperwork along with your equipment before any service work is commenced. We will follow through with the manufacturer from there. How often should Scuba gear be serviced? Regulators and BCDs should be serviced and inspected annually, even if not used. O-rings and hoses can perish. High-pressure seats wear when you use regulators and most low-pressure seats wear when not in use. This means that all parts will need to be dismantled, inspected for abnormal wear, cleaned or replaced if necessary, lubricated and then reassembled and tested. All regulators are tuned to factory specifications for optimum performance. You will receive a current copy of our service report sheet for all service and repair work performed by our Service Technicians. We keep a copy on file for our reference. We invite you to discuss any comments, which you will find on the service sheet, which you are unsure of. If you are happy – we are happy! After reading the information above we ask you to compare this with the Scuba service you are receiving at the moment. If you feel you are not being looked after, please do not hesitate to give us a call! We will be happy to answer any questions you may have. Have your equipment serviced annually to maintain manufacturers warranty. It is your life support equipment and needs to be operating at peak performance. Our technician attends servicing seminars as stipulated by manufacturers in order to remain current in the servicing of the latest models of dive equipment, this ensures that your equipment warranties remain valid. Of course, we also use only genuine parts as stipulated by the manufacturer of your equipment. Beware, there are “technicians” out there who will tell you that they can service any brand of gear, but many of them have not attended the manufacturer seminars and therefore do not have access to genuine parts, this means that your life is potentially at risk due to the use of non genuine and after market parts. Remember, it is your life support equipment, it is your life. Reputable manufacturers run updates annually at the end of which, a certificate of currency is issued to the technician, you are well within your rights to request to see that certificate, reputable technicians will have nothing to hide and will happily comply with your request. Turn around time for the servicing of your equipment is approximately 1 week but we also offer an express service (fees apply) if you need your equipment returned quickly (Conditions apply based upon the availability of parts). If you are going on a dive trip be sure to leave enough time prior to have your equipment serviced. As a benefit to our club members we also offer free equipment rental when you leave your equipment with us to be serviced. In other words, if you leave your set of regulators with us we will provide you a set of Scubapro or TUSA regulators to use until your own equipment is serviced and returned to you.